(Sarasota, FL) The Baltimore Orioles will conclude their sixth season in Sarasota with special Fan Appreciation celebrations during the final two home games at Ed Smith Stadium on Wednesday, April 1 and Friday, April 3. This year, the Orioles will thank fans for their support throughout Spring Training with an exclusive poster giveaway and an end-of-season fireworks display. Through 12 home games, more than 92,000 fans have enjoyed Orioles Baseball at Ed Smith Stadium during the 2015 Spring Training season. 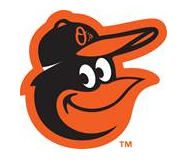 On April 1, all fans will receive a Cartoon Bird Art Poster when the Orioles face the Pittsburgh Pirates at 7:05 p.m. MLB licensed artist and Sarasota resident, Timothy Raines, designed the poster giveaway featuring the Orioles Cartoon Bird logo. Raines is known to bring fine art to globally iconic brands with a focus in sports and the automotive industry. He has worked with a number of renowned brands, including Major League Baseball, MLB teams and players, the MLB Foundation, Aston Martin, Mercedes-Benz, Michelin, HGTV, ABC, Hilton and Westin. To wrap up the season, the Orioles will host Fireworks Night on April 3 following the Orioles 6:05 p.m. game against the Atlanta Braves. For more information, call (941) 893-6300 or visit www.orioles.com/spring. (Sarasota, FL) On Tuesday, March 31, the Baltimore Orioles will host the 5th annual All Faiths Food Drive to help underserved families in the Sarasota area. Fans attending the 1:05 p.m. game against the Tampa Bay Rays at Ed Smith Stadium are encouraged to bring non-perishable food items and/or monetary donations to benefit the All Faiths Food Bank. Since 2011, over 2,896 pounds of food and $4,000 in cash donations have been collected at the yearly food drive to help underserved families in the Sarasota area. In 2014, All Faiths Food Bank distributed seven million pounds of food, which equates to nearly 5.8 million meals. More than 3,500 volunteers and 195 partner agencies and programs in Sarasota and DeSoto counties support the Food Bank’s mission. The Orioles’ participation in the All Faiths Food Drive is part of Sarasota 365, a host of initiatives through which the Baltimore Orioles and OriolesREACH demonstrate the ballclub’s year-round engagement with the Greater Sarasota community. Whether hosting youth activities, participating in charitable causes or partnering in efforts to boost the local economy, the Orioles are active in the region all year long. For more information or to sign up for the Orioles in Sarasota e-newsletter, visit www.orioles.com/sarasota.